Area flooded on June 17-18, 1949. 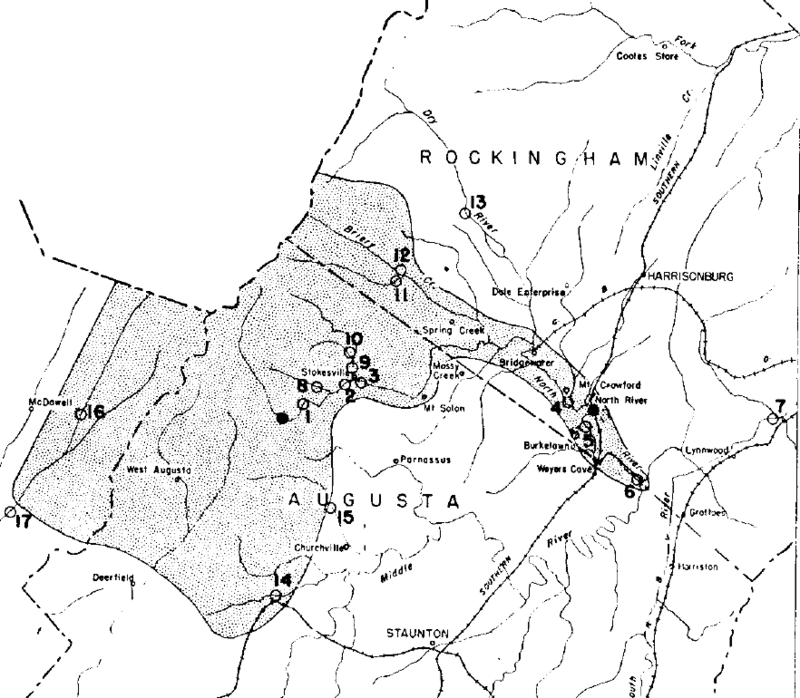 Map from USGS publication by Orville Mussey. Today, Little River and North River watersheds are covered by a mature deeply rooted forest. 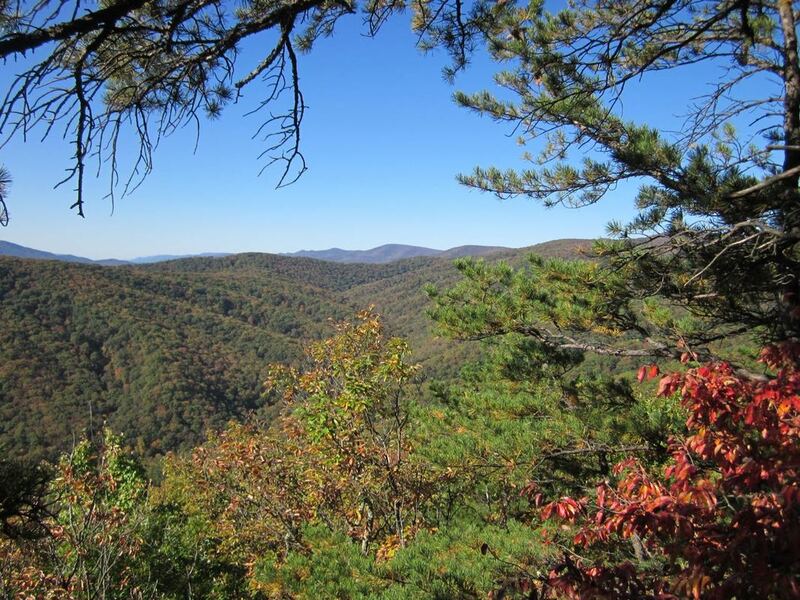 Congressional designation of Shenandoah Mountain as a National Scenic Area will preserve water quality, recreational opportunities, and wildlife habitat, and it will also help guard communities and farms downstream against future floods. The undeveloped living forest will hold the topsoil and mountainsides in place, slow down runoff, and lessen the effects of flooding. 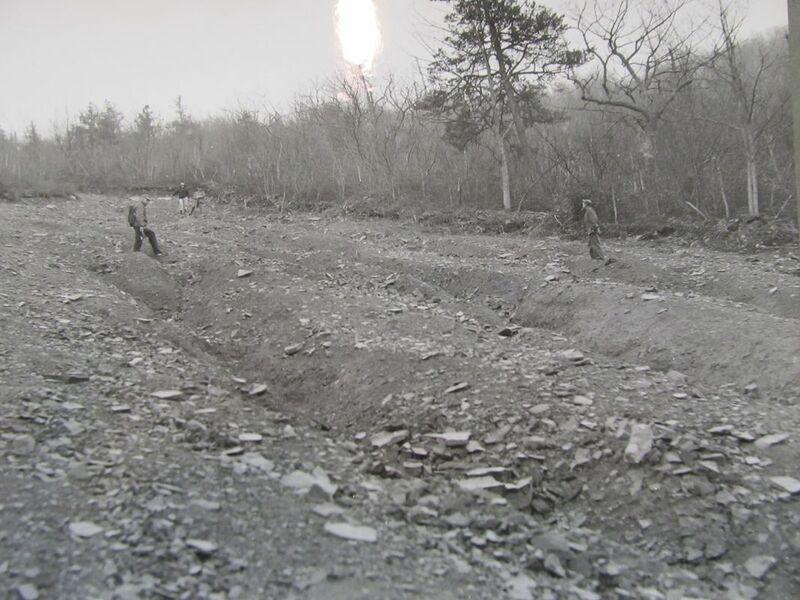 Before the Forest Service acquired land on Shenandoah Mountain, it had been deforested and was badly eroded. When the flood hit in 1949, the forest had recovered somewhat. Today, Shenandoah Mountain has a healthy mature forest with deep roots, the best protection against catastrophic flooding downstream. With the North River at record heights and the Little River receiving 15+ inches of rainfall on Friday, it’s easy to see how Stokesville was hit so hard. The Little River and North River join at Camp May Flather. The two combined are responsible for the extensive damage to the little community just downstream of North River Gap. Big Ridge in center with Buck Mountain in the distance to the right. Many of the 75 landslides were within this viewshed. 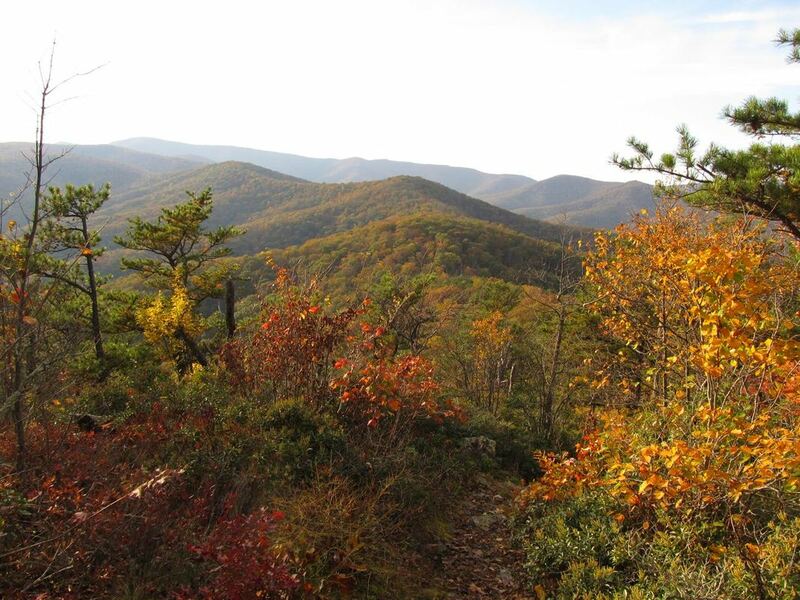 Photo from Grooms Ridge Trail by Lynn Cameron. 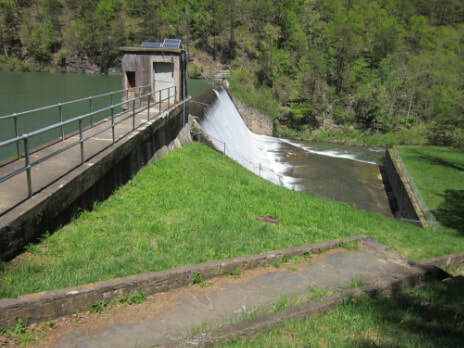 Staunton Dam was the only dam that had been built on the North River and its tributaries when the 1949 flood occurred. The concrete dam and tunnel through Hankey Mountain had been built in the 1920s to provide municipal water for Staunton. During the flood, there were rumors the dam had breached, but in fact, it held, even with record levels of flow. The gauge at the dam showed a peak level of 10.9 feet and a discharge of 11,100 cubic feet per second at around 10 p.m. Friday night. (Mussey 1949). It's a good thing the dam held as there were 80 Augusta County 4-H Club members and leaders camped at North River Recreation Area. Fortunately, no one was lost or injured in the flood. Beam, Lee. Email correspondence. 19 March 2018. "Forest Areas Are Closed," Daily News Record, 23 June 1949. "Forest Roads Flood Damage Said $150,000," Staunton News Leader, 22 June 1949. “Forest Survey Shows What Created Flood in North River Area,” Daily News Record, 15 July 1949. Mussey, Orville D. Flood of June 1949 in the Stokesville-Bridgewater Area. Charlottesville: Virginia Department of Conservation and Development in cooperation with the U.S. Geological Survey. 1950. National Weather Service. "Flood event of 6/17/1949-6/20/1949." https://www.weather.gov/media/marfc/Flood_Events_2016/1949/Jun17-20%2C1949.pdf. Noble, Charles. Memo on Restoration (Little River Slide Revegetation - Plans), 26 June 1962. Courtesy of George Washington National Forest North River Ranger District. "North River Area Forest Roads Badly Damaged," Daily News-Record, 21 June 1949. Wayland, John. Notes from 13 August 1949. Courtesy of Bridgewater College Library Special Collection. Osterkamp, W. R., Hupp, C. R. and.Schening, M. R. "Little River revisited — thirty-five years after Hack and Goodlett" in Biogeomorphology, Terrestrial and Freshwater Systems. Elsevier, 1995. pp. 1-20.